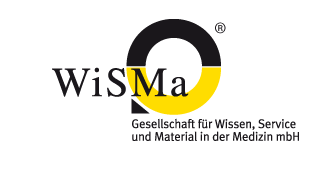 WiSMa GmbH. was founded in 1998 as a spin-off of Materials Management of the University Medical Center Freiburg’s Sales and Marketing Department. WiSMa GmbH built and managed the University Medical Center’s first logistics center in Umkirch until 2003. We then moved to our current logistics facilities and expanded them in 2005 to incorporate both the University Medical Center’s central storage and elements of its pharmacy. This expansion allowed us to not only better supply Freiburg with health care materials, but other partner clinics as well. In addition to logistics, we also manage the procurement of medical supplies and devices for several partner clinics. These two core activities, logistics and procurement, are known as „WiSMa Klassik”. This fact is highlighted by our membership to a Professional Association for Health Care Materials Procurement femak as well as our active membership in the Federal Association for Economic Development and Foreign Trade BWA and a Professional Association for Medical Technology (ZMT). 2003 - A new division called „WiSMa Service Klinikum“ was established and WiSMa’s daily operations came under the leadership of two managing directors. 2004 – The Facility Management Division was established, which today employs 150 people. 2006- WiSMa began collaborating with the Academy for Health Care Professions Akademie für Medizinische Berufe, The academy trains people for numerous jobs in the health care industry and some academy classes are even held in our logistics center. 2007 - WiSMa entered two new markets: materials forwarding and catering services. Our forwarding company specializes in health care materials, whereas our catering and party services have expanded from operating small bistros to providing top quality catering services to an expanding customer base. 2008 - WiSMa branched out into the growing sector of temporary employment services. We are a member of the Association for Temporary Employment Companies IGZ. 2010 – Laundry and laundry facility leasing services for regional partners in the health care industry, state institutes and the gastronomy industry.